One of the coolest things about blogging is when I'm able to play a part in helping other fans of men's fiction discover, or rediscover, some entertaining novels that have all but been forgotten. Jim Morris spent 3 tours in Vietnam in the Special Forces. He has authored non-fiction titles on military topics, and for many years was a contributor at Soldier of Fortune Magazine. Until recently, I thought this title was the only proof that he had ever dabbled in fiction, but it looks like his other fiction is showing up on Amazon, finally. 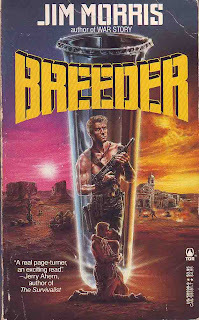 Breeder is on the Guilty Pleasures shelf of my home library in between the Renegade Series, the Last Ranger, the Sergeant and the Ratbastards. It is in no danger of ever being recognized as important literature, but it sure gave me something to enjoy for a few hours. Published in 1988, the novel takes place in the then-near future of 1991, and Morris makes some interesting predictions, to say the least. Not many of them have come true, yet, but I can see the same societal undercurrents Morris saw then. Either his prophecies were premature, or he was just having fun pulling my leg. For instance: there has long been an attitude among certain political circles that all our Armed Forces in the United States should be merged into one polyglot "Defense Force." The Marines would be combined with the Army to form the "Land Defense." All aircraft, whether stationed on carriers or air bases, would be consolidated for the "Air Defense" branch. And so on. This has happened as of 1991 in Morris' book. But that's not all. The USA is fighting a second civil war. Not between the states, but against the "Geebees," an interesting anticipation of the citizen militias that would rise up between 1993-95. Our hero, Jeff Clendenning, is, at first glance, a parody of every men's fiction super-stud you've ever read about. He's the model of physical perfection. He's stronger, faster, and a better fighter than anyone else. No woman can resist him and even the frigid ones are left satisfied. Unlike most authors in the genre, though, Morris has a reason why his protagonist is such a superman: genetic engineering. In fact, it's central to this deliberately cartoonish Cold-War adventure. Morris took the Sleeper Agent plot, combined it with the Master Race plot, gave them a twist, dressed it all up in pulpy action conventions, and out came Breeder. Jeff Clendenning has one special ability beyond the usual action super-stud's: he can tell when a woman is ovulating. He is the "breeder" of the title, of course, so you can imagine how this super power would be essential to his mission. Trouble is, the breeder doesn't know what he is--what he was designed to be. In fact, there's a lot about life and the world he doesn't know, due to the disinformation he's been fed and the elaborate "Truman Show" existence he's been raised in. But between deployments with the Rangers, kidnapping by the Geebees and a Patti Hearst-like bank-robbing spree, the breeder discovers the whole incredible story. If Morris' cheek wasn't dented out so far by his tongue, I might be tempted to suspect he was trying to get the reader to sympathize with the emotional side of his super-stud, because the breeder's story might be sad if it wasn't so doggone funny and gratuitously violent. From the very first time I read this novel, I dismissed the Master Race aspect of the plot as silly, simple, and off-the-wall. After all, no tinkering with the American gene pool has been necessary to bring us to the brink of financial ruin (to name just one calamity that we now face). All it has required has been Pavlovian conditioning, softening, and dumbing-down of the electorate over a couple generations. But then, Europe is rapidly transforming into a Muslim continent as I write this, and this paradigm shift is taking place in the womb.There is a political power base here in America that hopes to forge an ironclad monopoly over the three branches of our government, and one method they've been using to great effect (besides the aforementioned Pavlovian conditioning, softening and dumbing-down) includes tactics like refusal to enforce immigration laws, granting of amnesty to illegals, allowing illegals to vote, collect welfare, and the encouragement of "anchor babies" through redistribution of taxpayers' money. Again, the key to victory, for some, is considered to lie within the womb. And post-2012 election it appears to be working exactly as planned. So maybe the whole Master Race plot is not as silly as I assumed. Certainly it's no sillier than some of the plot devices being used today. If a professor of literature asked me to defend my recommendation of this book, I doubt if I could. Yet I recommend it nonetheless. This is pure awesome. I'm a big fan of Morris' non-fiction like The Devil's Secret Name (a controversial thesis that the Soviets were stroking the flames of war throughout the third-world...now it seems pretty obvious) and his Vietnam memoir "War Story" which to this day is the best portrayal of what Green Berets were doing in Vietnam and strangely enough, Iraq as well. This book sounds way over the top though! I'd never even heard of this until you told me about it a while back. What other fiction did he write? Over the top for sure! Looks like he also wrote Silvernail (about an SF operator in pre-Castro Cuba), Above and Beyond (the 1 Amazon review is by somebody who identifies himself as a SOG veteran) and Spurlock: Sheriff of Purgatory, which I think are also works of fiction. War Story and Devil's Secret Name are his most renown, and have won him a great deal of respect--especially from veterans. 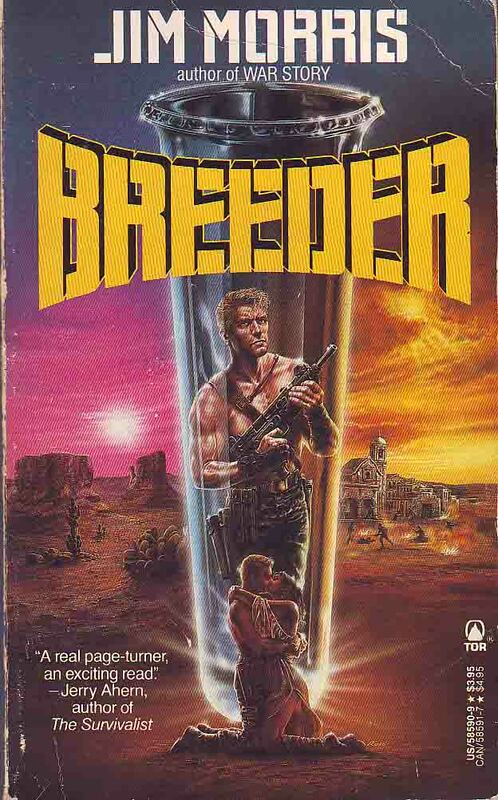 But based on Breeder, I'd guess all his fiction is good reading. I will have to take a look, some of these sound interesting... I remember that in War Story he mentioned being a English or Literature major in college so I'd think he would be a decent writer. "I'd like to thank you for your review. 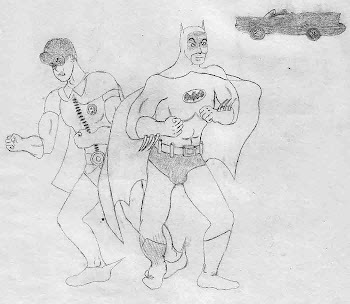 You pretty much got what I was going for, which was a send up of the entire action-adventure genre, the stuff I was writing and editing when I wrote it. That said, I wonder if you know the rest of my writing, as The Rookie kind of sucked all the air out of the name Jim Morris. Breeder is widely considered the least of my works. I didn't know it had any fans at all." I assured Mr. Morris that Breeder has at least 1 fan. This is pretty cool--thanks to the internet, I've actually exchanged words with authors like Jim Morris, Jerry Ahern and Warren Murphy.